If you are an experienced traveler going on their first cruise, you may think that you’ve got it all covered. However, while most cruise ships will be exactly what you expect and maybe even more, you should still come prepared. There are lots of things going on on the deck that may come as a surprise to you but don’t worry, that’s why we’re here! Once you’re done reading this article, you will know just what to expect from your next adventure. Some of the tips we’ve prepared will probably come as a surprise, while others will be something that you are already ready for. Nonetheless, all are equally important in order to get you as ready for your cruise as possible. So, without further ado, let’s see what you can expect to be faced with on deck! While getting to an airport early is the smartest move you can make when flying, things are a bit different when going on a cruise. Being early to your ship won’t save you from the crowd, and it most definitely won’t help you get on deck sooner. This is why you should try to find that sweet spot between missing your ship completely and getting there hours before. Thank us later! This one probably sounds like a given, but you should still double-check whether you’ve turned off your data once you are in roaming. You can’t even imagine, and we sure hope you won’t have to, just how extremely expensive leaving your data on while in roaming can be. Of course, there is nothing to worry about because your cruise ship will have their own WiFi and you will be able to stay in touch with your friends and family throughout your journey. What you are about to learn about the cabin rooms may come as a surprise, but not all of them have windows. Now, if you are anything like me, this is definitely something that you won’t enjoy. 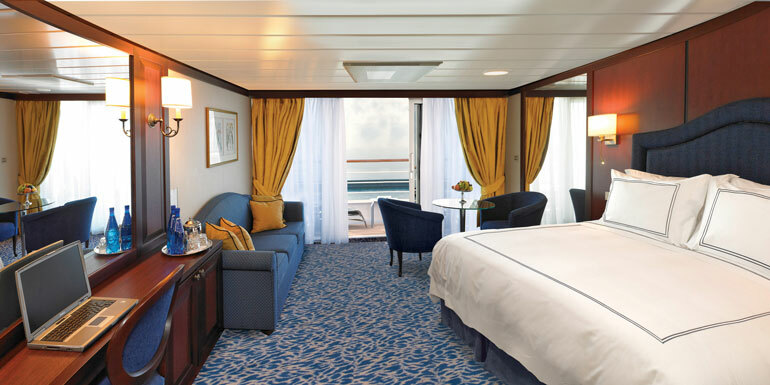 If this is a dealbreaker, you have to make sure to ask about both the windows and the size of your cabin room before you even think about boarding on your ship. Speaking of which, if you happen to be someone who is sensitive to motion in the ocean or suffer from car sickness, that doesn’t mean you have to miss out on going on a cruise. All you need to do is book a top cabin. The higher your cabin is, the less seasick you’ll get! Those of you who have grown accustomed to traveling on a budget and always looking out for those wallet-friendly options will probably think that we’ve gone mad. However, all-inclusive is the word of the day when talking about cruises. That way you won’t have to pay for your meals while you’re on board and trust me, those meals can be more expensive than you could even imagine! Who would’ve thought that an all-inclusive cruise would be the cheapest option? Hey, maybe you’ll give that private charter cruise a thought too! Speaking of inexpensive options, this one is quite a no-brainer. Shopping in your cruise ship’s souvenir shop can be ridiculously expensive, so hold onto your wallet and wait till you dock. Additionally, the chances are that you will find even more beautiful items to buy once you’ve reached your destination. Depending on the type of cruise you are going on, you will, of course, want to dress accordingly on all occasions. Of course, if you are going on an Amazon river cruise you should pack lots of light and comfortable clothes that will protect you from the sun and the mosquitoes. On the other hand, if you are cruising through Europe, per se, you can stack up on more elegant clothes and shoes. 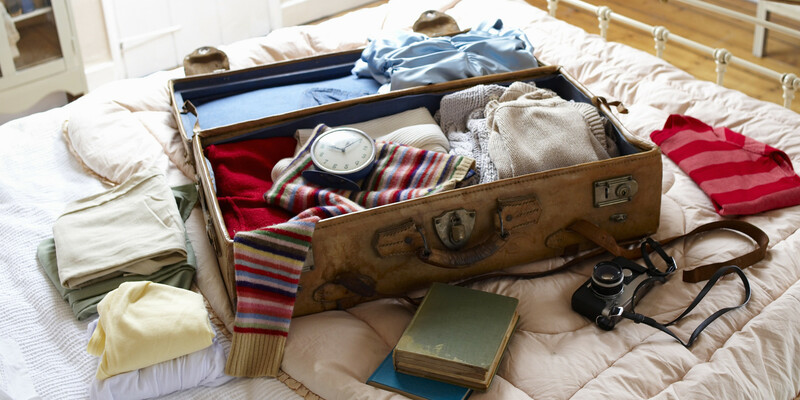 Whichever type of cruise it is, make sure to pack smart and not to overload your suitcase for no reason at all. How many times has it happened that you paid a fair price for something and then some time passed and you saw its price halve down? Well, the chances are that this could happen with your cruise’s tickets, so if you are feeling spontaneous at all, maybe the best thing to do is to do nothing. All you can do is sit back and wait for those prices to start going down! Now that we’ve reached to end of the list, you probably have a better picture of what your first cruise could look like. And the chances are that it will be an experience of a lifetime, so make the best out of it! 6 Non-cliche travel tips suggested by travel bugs!